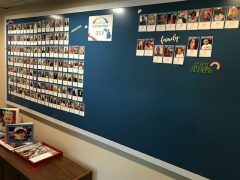 The Rainbow Connection Office is so excited to unveil our brand new wish wall! 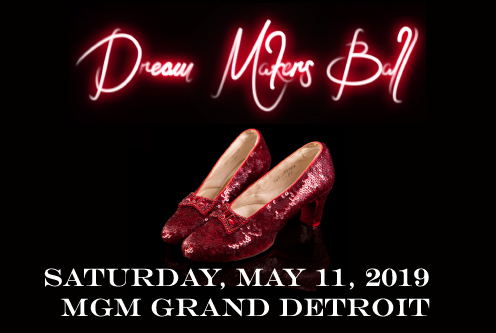 It features all of the brave wish children who we have granted wishes for this year, or who will receive their wishes in the future! Jackson Architectural Metals created and donated the newly renovated wall to our TRC office. On the right hand side, every child who has received a wish since January 2019 is pictured. 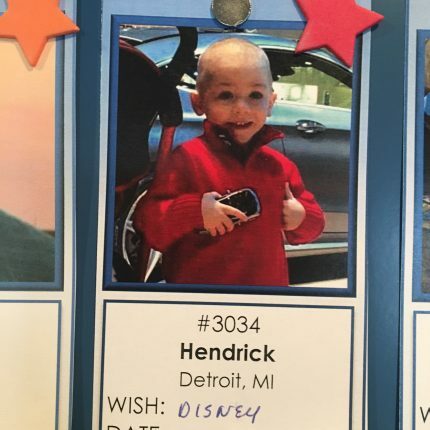 At the beginning of February, 5 year old Hendrick’s wish finally came true after a long journey with Leukemia. 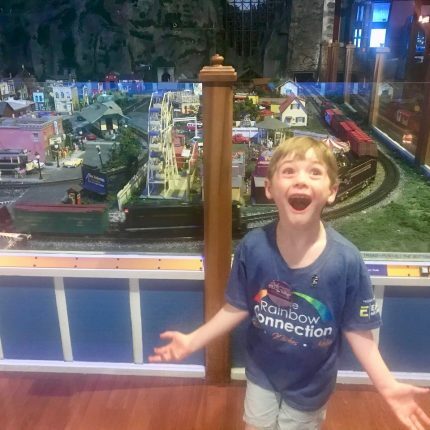 Hendrick had been patiently waiting to meet Mickey Mouse and see the magic that all of the Orlando theme parks had to offer – his dream came true last month! He and his parents stayed at the exclusive Give Kids The World resort and created some once in a lifetime memories together! Hendrick’s favorite part of his wish trip was the Curious George Fun Center at Universal Studios. As you can see from the joy on his face, it was an incredible trip! The left side of the Wish Wall features all the children that have been referred to TRC but haven’t received their wish yet. If there is a star next to their picture, like 15 year old Brandon’s, the wish is booked and ready to happen! 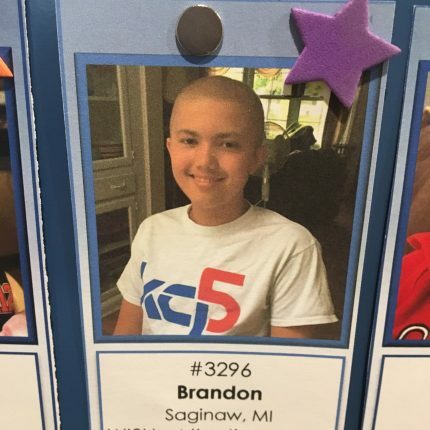 Brandon is from Saginaw and was diagnosed with Burkitt’s Lymphona. He wishes to travel to Atlantis with his family. Nancy, his Wish Coordinator, has his trip booked for the beginning of June! TRC does not have a waiting list – so when a child is ready for their wish, our Wish Department is ready to make it happen. Sometimes wish children are waiting because they are going through treatment or because they want their wish to coincide with a special event – like their birthday! 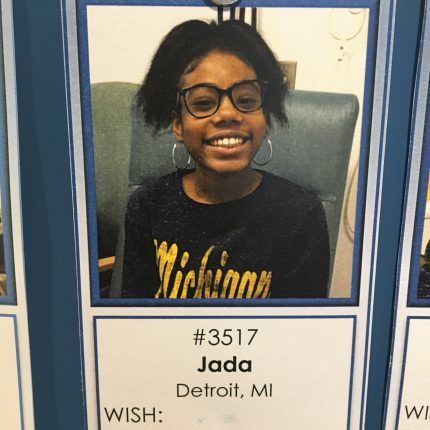 Jada’s wish is to celebrate her 13th birthday with her family in Disney World! 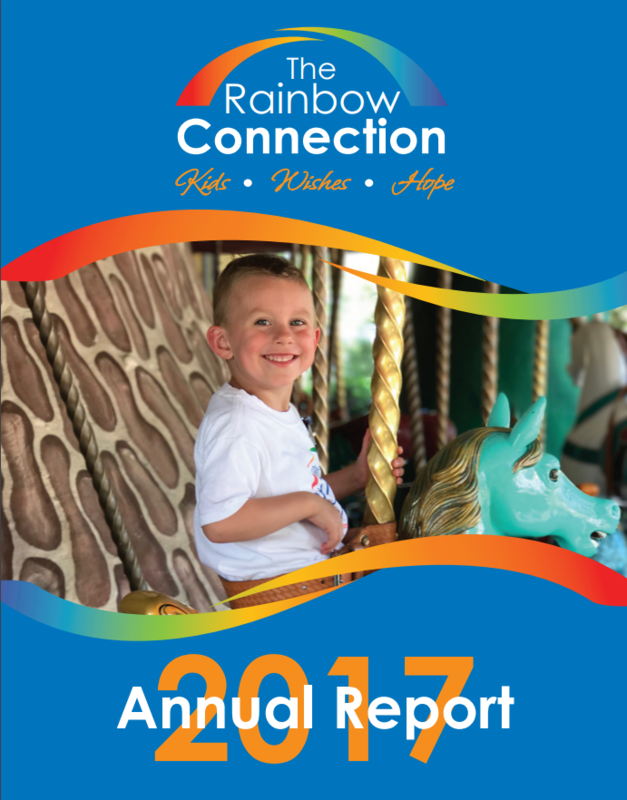 At The Rainbow Connection, our focus is on these wish children and their families, each child’s special wish and our ability to make them come true. Once-in-a-lifetime wishes give children the ability to dream the impossible! Since we began this mission, no child in need of a wish has ever been turned away or made to wait. Our wish is to provide hope, memories, laughter and something to look forward to for our wish children. 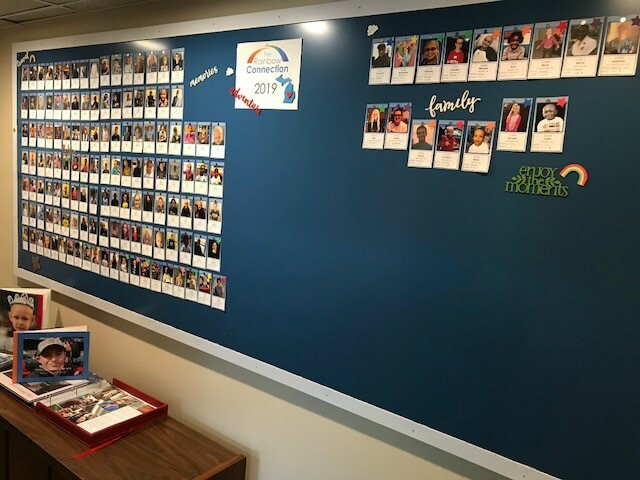 To learn more about our mission, services and how you can get involved with TRC, visit one of our FREE “Get Rainbow Connected” monthly tours! The next tour is Tuesday, April 16th at 9:00 am. Click here to sign-up.